Why is Ohio soccer assistant coach Elizabeth Woerle a die-hard Bayern supporter? Bayern Munich enjoyed a dream 2012-2013 season under the guidance of Jupp Heynckes. The Bavarian giants won the UEFA Champions League, German Bundesliga and DFB-Pokal in Heynckes’ final season in charge at the Allianz Arena. After Heynckes announced his decision to retire from club soccer, Bayern won the race to acquire the signature of former Barcelona boss Pep Guardiola, who was strongly linked with a move to English Premier League side Chelsea. So far this season, Bayern currently top the Bundesliga and their Champions League group. With players like Bastian Schweinsteiger and Franck Ribery leading the charge, Bayern figures to be in the mix for all three trophies come May. 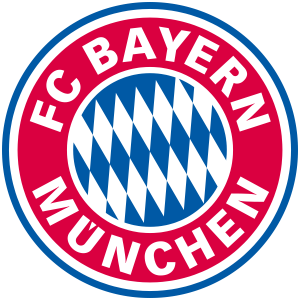 Ohio women’s soccer assistant coach Elizabeth Woerle is excited to see how Bayern finishes this season, and she took the time to sit down with Speakeasy Sports to discuss her admiration for Bayern Munich. Speakeasy Sports: First thing’s first: why do you support Bayern Munich? Elizabeth Woerle: I grew up watching them with my Dad, who is from Munich and played for them. I was in Germany for the last couple of years, and the more I watched the Bundesliga, the more I liked Bayern. Speakeasy: Have you ever been to the Allianz Arena? What was your experience like? EW: Yes. I went to a DFB-Pokal game last season when they hosted Wolfsburg. There was 75,000 people there, and they were all die-hard Bayern fans. If Bayern loses at home, the fans are silent. If they win, it is the best day ever for them. Mario Gomez (now at Fiorentina) came into the game with six minutes left and scored a hat trick. All of the fans were chanting the whole game. It was one of the best experiences of my life. Speakeasy: What is your favorite memory involving Bayern Munich? EW: I would have to say my favorite memory was the game I went to against Wolfsburg. I hope to go back to the Allianz Arena here soon. I would love to witness a Champions League game. Speakeasy: Who is your favorite player? EW: I like Toni Kroos and Bastian Schweinsteiger, but I lean toward Schweinsteiger. He moves off the ball well, and he grinds it out during games. He is consistent in games, as well. His touch and control on the ball is incredible. Speakeasy: Bayern had a memorable season last campaign. What are your thoughts on last season’s team? EW: It was exciting. Dortmund was able to get to the Champions League final last year, too, so that shows German soccer is taking strides. Bayern is getting better players because of last season’s success. One player that comes to mind is Mario Goetze, who played for Dortmund last year. Speakeasy: Former Barcelona manager Pep Guardiola is in his first season as Bayern head coach. What do you think of him so far? EW: He is doing well. The players seem to like his style of play. I think he was the right hire for this team. He knows the game, and he can also carry on what they had with Jupp Heynckes. I believe he will make them a stronger club. Speakeasy: Who would you say is Bayern’s biggest rival? EW: It has to be Dortmund. The rivalry between those two is incredible. Now with Goetze at Bayern, both teams are starting to battle for players. Both teams are finding themselves at the top of the table, which make the games even more intriguing. Speakeasy: Pretend you are Bayern President Uli Hoeness. Money is no issue. If you could add any one player to Bayern, who would it be and why? EW: I’ll go with (PSG striker) Zlatan Ibrahimovic. He can single handedly change the game. He is the same type of player as Mario Gomez, so I do not know if he would fit the system. If I had to choose between Cristiano Ronaldo and Lionel Messi, I would take Lionel Messi. Speakeasy: Bayern has many talented young stars. Which young player’s future are you most excited to see develop? EW: (Switzerland international) Xherdan Shaqiri. He’s a small player, but he is quick and can run all over the field. I firmly believe he will do well at Bayern because he will eventually catch up to the speed and style of the Bundesliga. It is only a matter of time before he breaks into the Starting XI. Speakeasy: What are your expectations for Bayern this season? EW: I hope they can win the treble again. It will be hard, but I think they can do it. They definitely have the potential and the talent. Not many teams can compete with them. Last season, they blew out Barcelona in the Champions League. Speakeasy: As you know, the U.S. men’s national team has never won the World Cup. Would you rather see Bayern win the treble again or the U.S. win the World Cup for the first time? EW: This is a tough one, but I have to say the U.S. winning the World Cup. It would be incredible to see U.S. soccer reach that level. We are continuing to make strides, and the U.S. has a German coach (Juergen Klinsmann), which I am in favor of.